SMS-Press is a wordpress plugin that allows you to sell, share and send SMS via your wordpress blog/website. It supports both single and bulk SMS (text message). You can run SMS campaign, send invitations, meeting notice,product advert, etc to a large pull of mobile phone numbers and, or also run this as a service to your blog visitors/users. 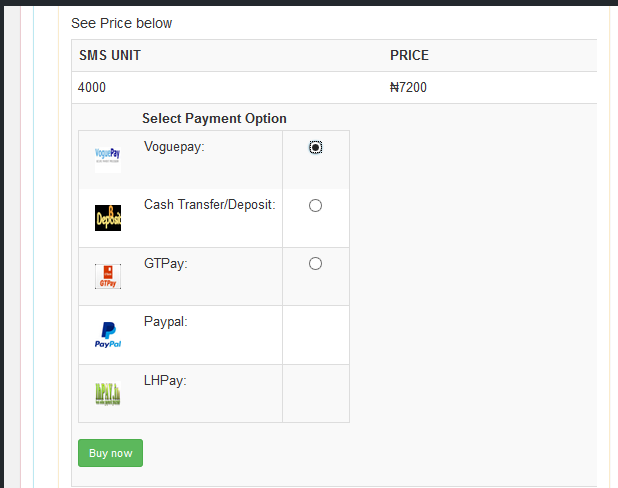 Users can purchase SMS Unit from you, online using any of the payment options listed below or via your Voucher and run their own SMS campaign. Users can resell their unit via SMS Transfer to other users. SMSPress is not limited to one SMS Service Portal, Support for multiple SMS portal(provider) is one of the core features of SMSPress. You can choose any portal, or request for a new portal and it will be available in 24hrs. User friendly SMS Compose interface with instant character counter, number counter and price evaluator; Mobile friendly interface, and support for all mobile devices and screen sizes. SMSPress supports SMS Voucher generation, printing and sales: You can resell SMS Units as printable vouchers, this feature, makes it easy to resell SMS services in CAMPUS, internet Café, and any other offline shops. Sort numbers before sending message, If you have non-comma separated number, you can sort it with number playground, available in SMSPress. Remove Duplicate numbers via number playground. how can i get the plugin.